"Kanbanize is a modern and fresh lean management platform that helps SMBs and enterprises boost their productivity and the efficiency of their processes." Kanbanize scored 86/100 in the Agile & Other Methods category. This is based on user satisfaction (84/100), press buzz (48/100), recent user trends (rising), and other relevant information on Kanbanize gathered from around the web. Kanbanize is a project management software solution based on the kanban board. It’s essentially a digital representation of the traditional kanban board but offers more functions and includes loads of tools and features designed to optimize workflow in the most practical and effective manner. The platform is a cloud-based system designed for small- to medium-sized businesses and large enterprises across all industries. And just like the traditional kanban board, Kanbanize serves as a task management visualization tool but is actually capable of much more than that. As a web-based kanban software system for SMBs and large enterprises, Kanbanize offers a myriad of features and tools that boost the productivity and efficiency of your team. It is a user-friendly visual project management solution that makes use of Lean and Kanban principles. With this software solution, project leaders and managers can effectively keep track of task assignments, progress and workflows with minimal effort. Project team members can collaborate more effectively regardless of where they are or what time zone they’re in. Kanbanize also allows team leaders to determine potential bottlenecks in the workflow through real-time updates, visual feedback and other functions included in the software. The robust analytics available with the system provides accurate representation of the overall status of projects through charts and graphs, allowing project stakeholders and decision-makers to make more accurate conclusions and decisions before moving forward to the next step. Kanbanize has a lot of features and capabilities beneficial to any organization or enterprise looking to enhance the workflow of projects, as well as boost productivity and efficiency of team members collaborating on said projects. Kanbanize also helps team leaders, project managers and decision-makers be more precise and efficient when steering their teams toward the finish line. Kanbanize project management solution offers unlimited use of Kanban boards. 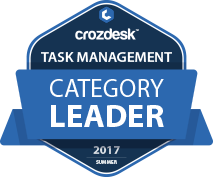 It offers customization by allowing users to add columns and sub-columns, horizontal lanes to denote task priorities, types of work and customers. The software solution also provides a function that enables users to define specific roles and assign custom tasks to team members per board. How tasks are viewed and how boards look like can also be customized by the user. The custom settings can be changed according to preference and how the user receives notifications can be adjusted. All these and more show you just how flexible the core features of this software solution is. The Kanbanize analytics module adds a few impeccable features to boost the efficiency and productivity of team members. Some of these features include Cycle Time Scatterplot, Cycle Time and Throughput Histograms, Cumulative Flow Diagram, Aging Work in Progress and Monte Carlo Simulations for Forecasting. These features allow users to obtain valuable data associated with all the task assignments available in just one board, regardless of whether they are ongoing or newly assigned tasks. Users may also view information regarding cycle time, team efficiency, the progress of individual team members and forecasts of upcoming tasks that need to be addressed. One of the best aspects of Kanbanize project management software solution is its powerful advanced features. This web-based platform provides users with capabilities seldom available in other project management solutions in the market. Users can place links between tasks to allow easier visualization of priorities and hierarchies. Rules can be defined to streamline workflow. Reporting features provide team leaders and project managers the ability to determine the amount of time each team member has worked on assigned tasks and the project as a whole. Kanbanize also integrates well with other systems, such as email and other productivity software. It allows users to create specific tasks with their email client or any other application. 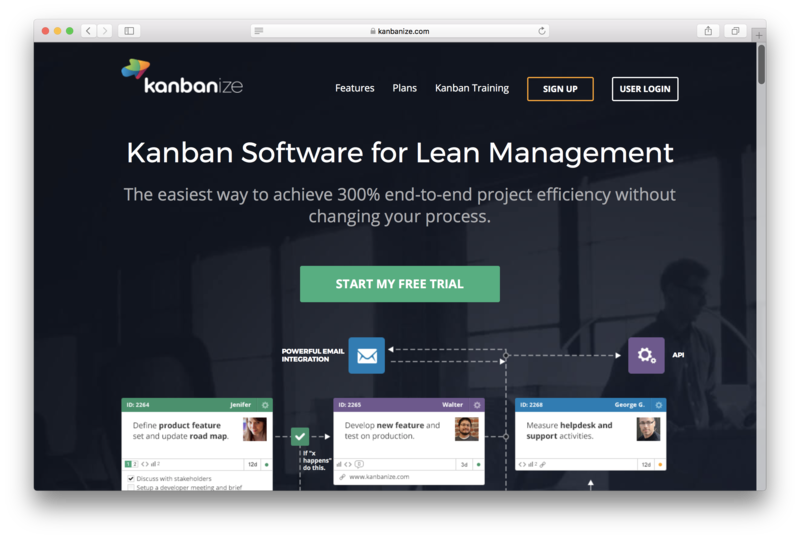 Kanbanize Project Management Solution is a subscription-based service. The rates are calculated based on the number of users, single sign-on support, the level of utilization, the number of active business rules and active analytics. The vendor also offers a free trial for those who wish to try out the service before committing to a paid subscription. You can visit the vendor’s official website for additional info on the pricing plans. They also provide a handy calculator on the pricing page of their website, which allows you to adjust the pricing according to your specific needs. The ideal project management software option? Kanbanize is designed for small- to mid-sized businesses as well as larger enterprises. However, the majority of its features and capabilities, including its price range are geared more towards medium to large-scale businesses. Does Kanbanize offer multi-user capability (e.g. teams)? Does Kanbanize offer guides, tutorials and or customer support? Who are the main user groups of Kanbanize? Does Kanbanize offer an API? 4.21/5 based on 15 user ratings. What do you like about Kanbanize? What do you dislike about Kanbanize?